Mexico’s peso briefly strengthened on Wednesday Sept. 21 after the U.S. Federal Reserve left interest rates unchanged but strongly signaled it could still tighten monetary policy by the end of this year as the labor market improves further. The peso strengthened 0.6 percent to 19.7 pesos per dollar on the announcement, but reversed gains soon after, according to Reuters. Earlier on Wednesday, Mexico’s finance minister said in a TV interview he expected the Fed’s decision to have some impact on the peso, which has weakened nearly 15 percent against the dollar this year. Jose Antonio Meade said there is no decision yet on whether the government will intervene to stem the currency’s slide, but that there would be a meeting next week to evaluate it. 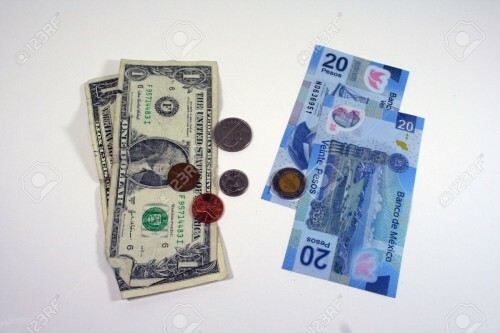 Mexico is committed to a freely floating exchange rate and generally refrains from more direct forms of intervention used by other emerging markets. The country’s FX commission, made up of officials from the central bank and the finance ministry, began using rules-based auctions in late 2014, when a collapse in global oil prices sent the peso to a record low. In February, however, with the exchange rate around 19.5 pesos per dollar, the central bank sold dollars directly to the market for the first time since 2009, abandoning the rules-based auction regime that Mexican authorities said had become predictable and exploited by market players. Banamex said in an analyst note on Tuesday evening it now expects the Bank of Mexico to raise rates next week by 75 basis points as a result of the peso’s recent depreciation. The peso has weakened around 5 percent this month on concerns that U.S. Republican candidate Donald Trump could win the Nov. 8 presidential election after polls showed him gaining ground against Democratic candidate Hillary Clinton.